The lead Investing feature in the July issue of The Bahamas Investor magazine focuses on the strong investment ties existing between The Bahamas and its wintry northern neighbour. Canadian financing and expertise have been involved in fields as diverse as trade, banking, insurance and real estate development. 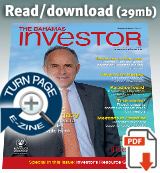 Canadian investors take a central role in the Investing section of the July issue of The Bahamas Investor magazine. Foreign direct investment from The Bahamas’ northern neighbour has totalled around CND$11.7 billion (US$12.4 billion) over recent decades, mainly in the areas of construction, financial services and insurance. Given the strength of its banking sector and relatively sound economic performance, Canada is still viewed as a robust market for The Bahamas, as witnessed by the recent high-powered trade mission to Calgary and Toronto, headed by Prime Minister Hubert Ingraham. In an address during the Ministry of Tourism and Aviation’s 2010 fall/winter ad campaign held in Toronto, Director General of Tourism David Johnson summed up The Bahamas’ relationship with Canada, not only in terms of tourism, but also for the overall economy. To read the full article on Canadian investment ties pick up a copy of The Bahamas Investor. Order a free copy online by filling in your details in the box on the left. View the full issue online from next week. The end of this year will see the revival of the iconic motor racing event which drew big crowds and top names to Nassau during the 1950s and '60s. Running November 30 until December 4, Speed Week will once again bring the glitz and glamour of international car racing back to The Bahamas' capital. In a video after the jump, Speed Week's UK event director David McLaughlin reviews the history and outlines the details of the upcoming Bahamas Speed Week revival. The all inclusive, couples only resort chain Sandals has been building a brand name in the Caribbean region based on quality service and exclusivity. Last year the Jamaican hotel company added the "jewel in the crown" to its portfolio when it opened Emerald Bay in The Bahamas' Family Island of Great Exuma.